Everyone is unique and your training should be too. A key element to getting results is finding what makes you tick, whether its 1-2-1 training with a calm and gentle approach, praise and reward, military style, training with a partner or being in a group class situtaion. If you don’t enjoy what you’re doing you won’t get the results no matter what the programme! Do you feel uncomfortable when you train in a gym? Does the idea of training outside put you off? Are there too many distractions if you train at home? How would a private spacious studio suit you instead? My home studio is located in Peacehaven where I live which means I can train you during the day or evening (spaces permitting) to work around your free time. Get the comfort of home whilst escaping your own. If you would prefer to be in the comfort of your own home, work place or enjoying the great outdoors we can train at your local park, the seafront. or another location. I have equipment I can bring to make this possible. Alternatively we can train at the University of Sussex gym in Falmer or Body Happy studio in Hove. Or we can make the most of the stunning landscape of Sussex and conquer the great outdoors. Please do contact me for prices and also any questions you may have. 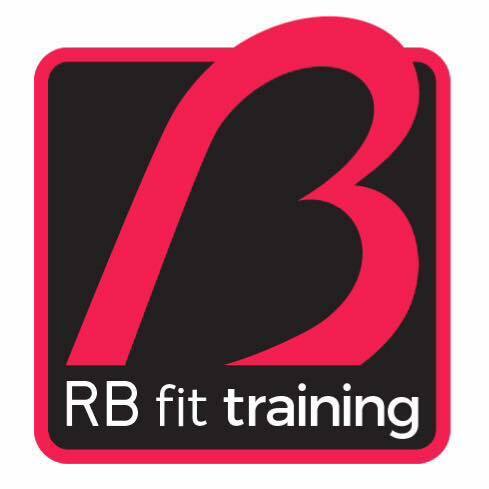 Why Choose RB Fit Training? RB Fit Training is not a large exercise chain. It is run by Ria, who lives in Peacehaven with her husband and little girl and who loves getting up and going to work everyday. Ria is dedicated, articulate, driven (both in her goals and helping you to achieve yours) and a really, really nice person too. A very rare combination, and the reason why a small fitness instructor’s business has become so poplar and has spread to Brighton, Saltdean, Falmer, Rottingdean, Peacehaven, Newhaven and Seaford. When Ria isn’t instructing, she’s found on the ski slopes, chilling out at Center Parcs or marshalling at the local Park Run on a Saturday and Sunday morning. 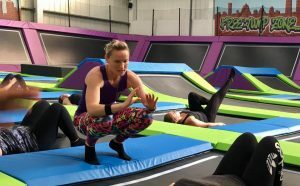 Most classes are drop in but I teach at some venues which take bookings in advance (Sky High Trampoline Park and the University of Sussex) – please see class timetable for more info. Class prices are listed on the classes page. 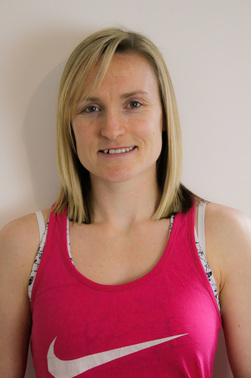 For personal training I can work to your requirements and budget – just contact me with a brief intro to what you need and I can put together a schedule for you. I haven't exercised in a while. Can I still join in? In all my group classes I encourage every participant to take it at your own pace, from group cycle to BounceFIT. I will always have a chat with you before we start to check you’re happy with the exercises we’re going to do in the class, and I treat everyone as an individual, not as a room full of robots. If you’re concerned, let’s do a couple of 1-2-1 sessions before you join the classes.